ABOVE: VIDEO OF A RECENT TALK ON REINCARNATION AT A ULT LODGE IN THE USA. U.L.T. is an integral part of the larger Theosophical Movement, which has itself been described as a “Universal Lodge of Free and Independent Theosophists which embraces every friend of the human race.” The emphasis here, be it noted, is on freedom and independence. U.L.T., it may be said, trains students to become wise and compassionate, and not “ceremony-masters”: it increases their devotion, not observances. The way in which W.Q.J. upheld H.P.B. is an object-lesson for all those who have a tendency to waver and wander from the path. If we follow the example of W.Q.J., we shall find where H.P.B. pointed. “In effect it comes to this, that those who professed or who profess to look to H.P.B. as their Teacher, do not do so unless they also look on Judge as she looked on him. If they minimize or vilify Judge, they have to minimize and vilify H.P.B.” In other words, we cannot accept the philosophy taught by Sri Krishna in the Gita and reject his estimate of Arjuna. We have always to draw attention by every means in our power to the indisputable fact of the existence of the Masters of Wisdom, to their messenger H.P.B., to the body of knowledge she named Theosophy, and to her colleague and co-worker W.Q.J. All the upheavals that occurred in the Theosophical Movement within the 30 years since it was launched, were a result of either ignorance or deliberate non-recognition of these facts. Students of U.L.T. are committed to see that history does not repeat itself in this regard. (3) The investigation of the unexplained laws of Nature and the psychical powers latent in man. (1) To preach and popularize a knowledge of Theosophy so that its doctrines may practically react upon the so-called moral code of the people, or the ideas of truthfulness, purity, self-denial, charity, etc. (2) To give a rational basis on which the intellectual classes can reconstruct their crumbling faith and avoid the extreme of bigotry and superstition on the one hand, and that of brutal materialism on the other. (3) To arouse in the ruling nations and the upper classes a sense of their responsibility to protect and guide the so-called despised nations and classes. (4) To show that all religions teach self-redemption through one’s own seventh principle, the liberated Atma. One should not seek redemption for oneself alone, but strive to make all other people see that truth and recognize the reality of the transcendental Self. (5) To teach people that life on earth, even the happiest, is but a burden and an illusion; that it is one’s own Karma, the cause producing the effect; and to lessen the intensity of that struggle for existence which is the prolific parent of most woes and sorrows, and of all crimes. (6) To offer the right and logical explanations of the great dual principles of right and wrong, good and evil, liberty and despotism, pain and pleasure, egotism and altruism. In conclusion, Associates and students of U.L.T. should consider themselves “fortune’s favoured soldiers” in that genuine Theosophy has come down to them intact, and it is up to them to study, practise, assimilate and promulgate its teachings so that the message of Theosophy may spread over the entire world. 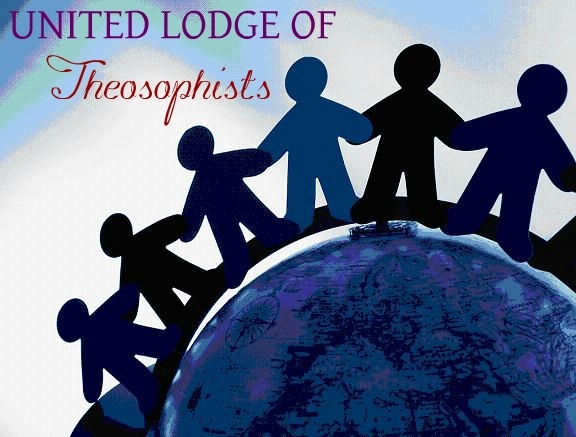 Some related articles include Theosophy around The World (includes links and contact details for over 30 ULT Lodges, centres, and study groups around the world), The Four Branches of the Theosophical Movement, What it means to be an Associate of the ULT, The Man Who Rescued Theosophy, The Closing Cycle, The Theosophical Society is Disloyal to Theosophy, Who are you, Madame Blavatsky?, Who was William Quan Judge?, Theosophy: The Ancient Wisdom, 12 Things Theosophy Teaches, and How to successfully study the Teachings of H.P. Blavatsky.